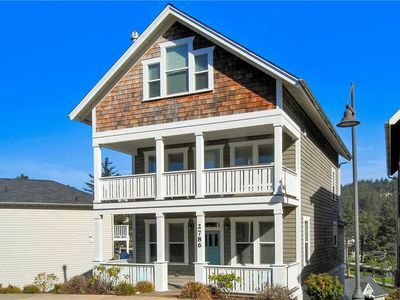 Adjust your attitude to relaxation in this three-story beauty on a quiet side road in central Lincoln City! 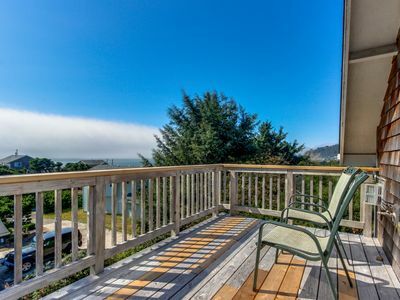 Start by elevating yourself to the second-floor front porch with its dining area. 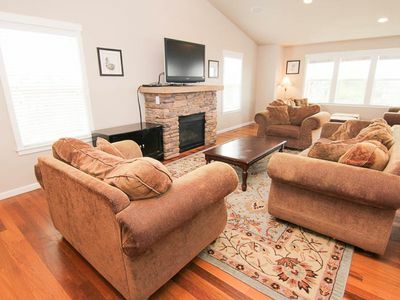 Enter the great room, the central gathering place in this family-centric home, where you’ll find a line-up of leather recliners and a sofa in front of a gas fireplace and wall-mounted flat-screen TV/DVD. 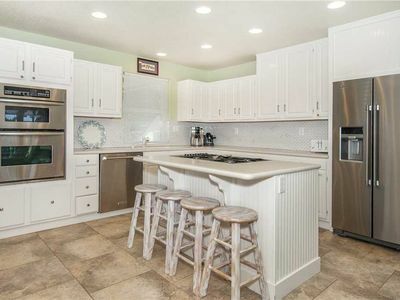 A gracious dining table for 8 and four seats at the kitchen island will attract helpers for the cook in the bright, fully equipped kitchen, with its gas stove and stainless appliances. 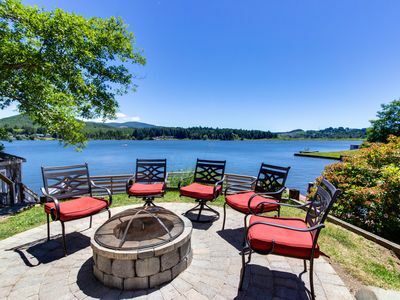 A deck out the back has a gas barbecue; a few steps down to the patio take you to a fenced yard. 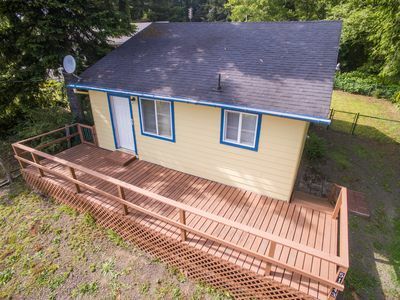 The main level also has two queen bedrooms and a full bath. 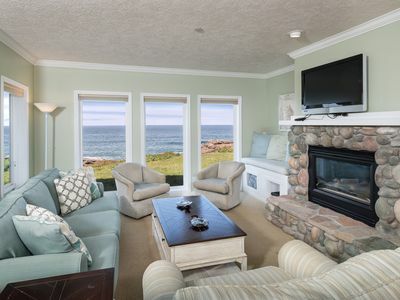 On the third floor, you’ll be delighted with two king suites, both with ocean views. 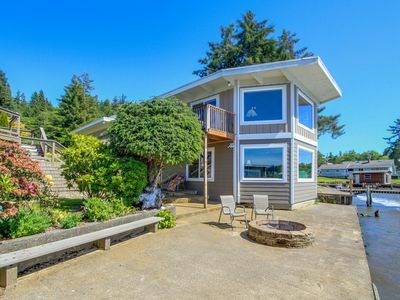 One has a pair of twin beds and a huge oculus window and the other has its own western balcony as well as a spa tub. 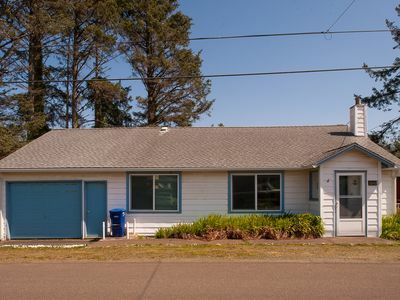 On the ground floor, a game room with sofas, a TV, X-Box, a billiards table which can be converted into a poker table and a clever wet bar will keep everyone entertained. 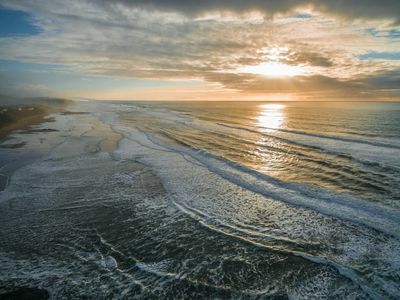 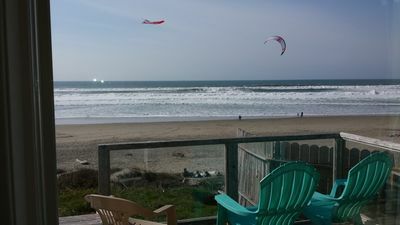 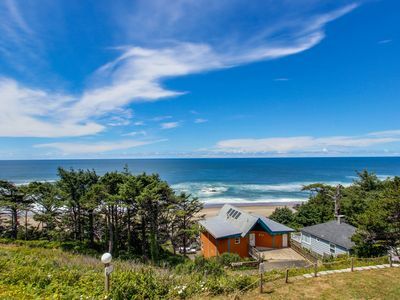 This spacious home lets you invite extra family and friends to join you in a stay in Lincoln City, where you’ll find beach access and the delightful Taft District minutes away and the whole Central Coast within reach. 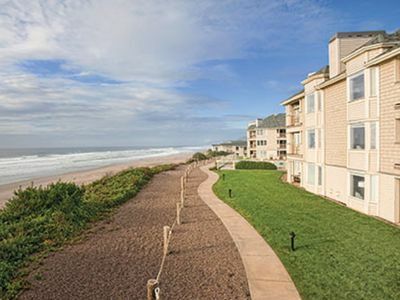 Rejuvenate your mindset with ease in a retreat to Latitude Adjustment! 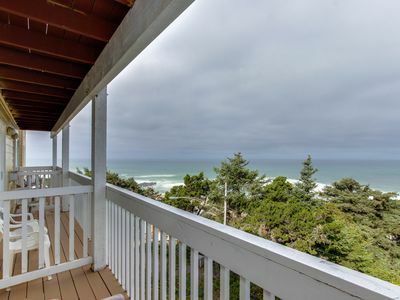 Dog-friendly home w/ deck and unobstructed ocean views - close to beach! 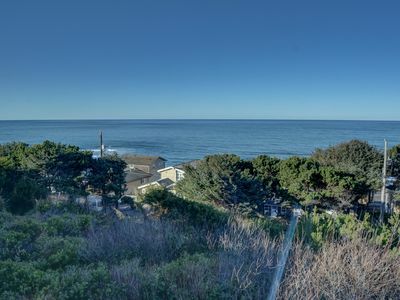 Enormous, renovated, dog-friendly home w/ ocean views & easy beach access! 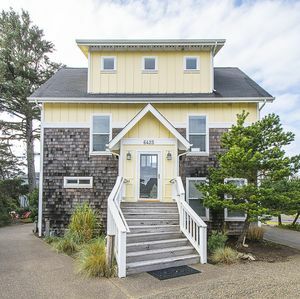 Oceanfront in Lincoln City Roads End - Literally Steps Away From the Beach! 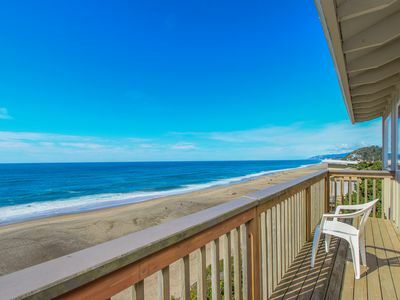 Upper-level oceanview studio near the beach - dogs welcome! 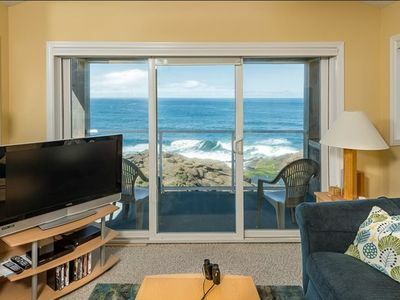 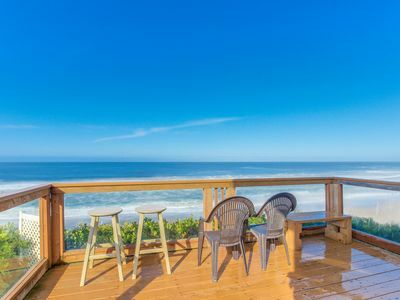 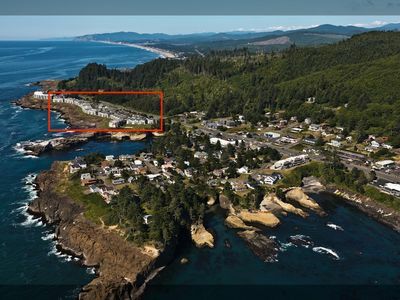 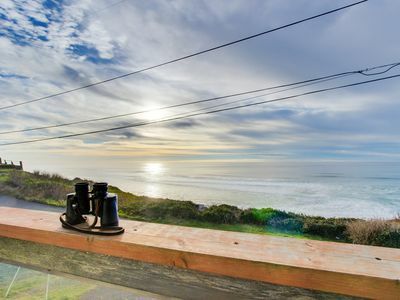 Relax & enjoy the stunning views from this Depoe Bay home w/ sleeping for 8!